Every day, we are living with continuous process of repeated daily activities, interactions, gaining and analyzing information, encounter social influences, changing lifestyle to find a fulfilled and balanced life. Mindfulness and meditation are the perfect tool to live with true purpose and meaning with best values by practicing self-awareness and building the attention muscle. If you are looking for Ayurvedic treatment, consider mindfulness and meditation for your health needs. Mindfulness is a process of having awareness of your thinking, feeling, doing and identifying your environment and each moment of different aspect of your life by building more attention and focus. Whereas meditation is a pathway to inner self and consciousness through steady awareness by stilling the mind. Mindfulness and meditation is the bridge to the inner and universal consciousness. Mindfulness has invaded every corner of life and movement of being in present moment bring more harmony and better perception of who we are and environment around us. Presently mindfulness is practiced by top class athletes, alternative to medications for diseases and even taught in some of the most powerful corporations in the world. You don’t have to be in Himalayas to do meditation, you just have to be a person with a functioning mind. 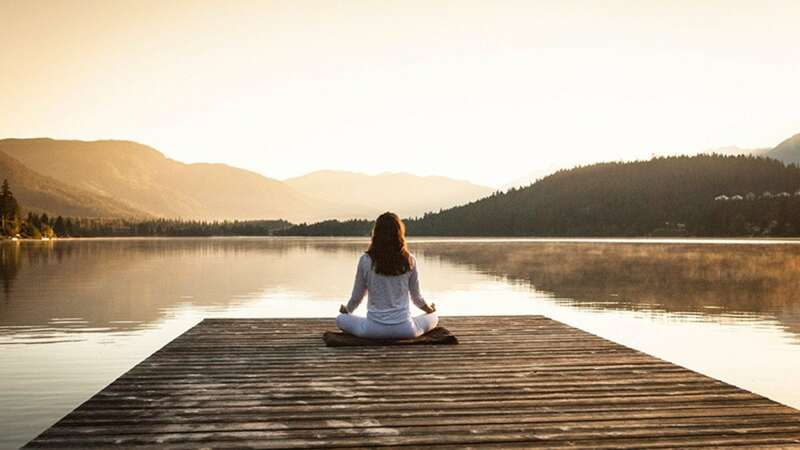 Mindfulness is a type of meditation where we focus our attention on the present moment on the body and mind activities with self-awareness and self-acceptance without any judgements. Mindfulness meditation is the most well researched type of meditation. We take few moments to check in to notice the state that your body is in and your mind. The ancient science of meditation has moved out of the temple and simplified into our daily lives in our present innovative and stressful life. Meditation has 3 stages according to Sage Patanjali who bring science of pathway to enlightment to the world through Patanjali Yoga Sutras. They are 3 internal mental process called Dharana (initial concentration /focus) Dhyana (one pointed contemplation) and Samadhi (Aligning and absorption with the universal energy/consciousness). Yoga Sutras of Patanjali says that meditation is the progressive quietening of the mind till it reaches the source in pure silence. You don’t have to set aside any extra time for meditation, you can simply integrate this meditative practice into your daily activities. You can begin with shorter activities and expand with time. It lays a solid foundation to begin an internal meditative practice. It can be a great way to manage and reduce stress. Research on meditation shows that, there is significant changes in our body as well as the mind. There are physiological, psychological, biochemical and neurological changes. This makes it an ideal Ayurvedic treatment. Improve your health and wellbeing. Meditation is the key to change and charge your Brain. Meditation bring more clarity and productivity by remarkable changes in the Brain. As we expand our awareness, we are increasing the neural connection and Researchers identified changes in the structure of the brain and genes which enhance our life span and delay aging just by exercising your attention muscle. Scientific evidence is that when we practice mindfulness for some period, connection in the brain is strengthened and this allows the prefrontal cortex (Executive centre of the brain ) to modulate the impulses from the amygdala (Fear centre) and to recover more quickly modulate stress and fear .As we control fear centre, important consequence is that emotionally, you don’t react as much , you recover more quickly, and we develop important attribute of resilience and emotional intelligence. ity. Meditation and mindfulness train our mind by influencing the Default network of the brain and achieve more neuroplasticity with consistent and long-time practices. It is great that we don’t need anything other than our mind and training our minds to do this. Mindfulness and meditation play a significant role in workplace and business. Mindfulness practice relate the ability to focus attention and to selectively focus on what we choose to focus on. We are in an environment that have all kinds of competitions, achieving targets and filled with information overload and workload. Ability to selectively focus on certain things and ignore other things is part of our capacity of choice. Basically, mindfulness develop self-awareness as our mind is less prone to wandering and it strengthens the prefrontal ability to say no to those low impacting activities and emotional impulses. It also helps us keep our attention on that one thing that’s so important. self-management, empathizing and social skill and within each of those domains, there are specific learning abilities that make executives outstanding performers. Mindfulness help to handling negative emotions, improve adaptability in general and maintaining a positive outlook. In business and work having attitude of keeping your eye on that long-term goal despite setbacks, obstacles and distractions keep you going and succeeding to the next level. Ultimately the goal of meditation is to experience our core consciousness which is a domain of awareness where we are experiencing our universe and we are connecting to inner awakening by developing qualities and attitudes of love kindness joy compassion empathy and equanimity. Well, why wouldn’t anyone want to meditate or practice mindfulness with these given benefits and all the research that has been done on meditation. Contact AyurClinic today to learn about mindfulness and meditation as an Ayurvedic treatment.